The Sioux City Joint Electrical Apprenticeship (Sioux City JATC) program has been jointly sponsored by the Sioux City Division of the National Electrical Contractors Association (NECA) and Local Union 231 of the International Brotherhood of Electrical Workers (IBEW)for over 50 years. 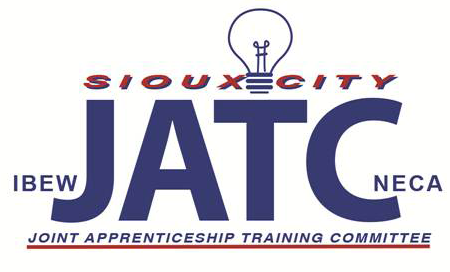 The Sioux City Joint Electrical Apprenticeship & Training Committee’s (Sioux City JATC) mission is to educate the members of the International Brotherhood of Electrical Workers and National Electrical Contractors Association; insuring and providing the electrical industry with the most professionally trained and highly skilled workforce possible. Get more information about applying for an apprenticeship through SCJATC and gaining great real-world experience in our program. We offer a great selection of courses each academic semester! Click the button see a listing of the classes that are currently scheduled with the Sioux City JATC.